When dental disaster strikes, do you know what to do? Dental emergencies can be nerve-racking and painful, but they’re even worse if you don’t know what to do after. 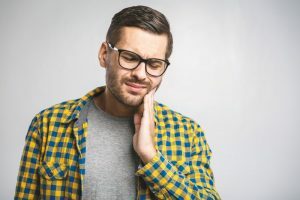 Whether you bite down on a hard piece of popcorn and crack your tooth, or your son gets his tooth knocked out playing football, there are some steps you can take to minimize damage and pain. Keep reading to learn the answers to dental emergency FAQ’s in Ocala so you’re prepared for a wide-range of dental disasters. If your tooth gets knocked out, try to find it and pick it up by the crown (the top). It’s important to try to leave the tooth root intact so it can be replanted. Rinse the tooth and try to put it back in its socket or put it in a cup of water or milk to keep it moist. The sooner you get into see your dentist, the more likely it is that your knocked-out tooth can be replanted. If there’s swelling, apply a cold compress to the outside of the affected area to ease the pain and reduce swelling. What Do I Do If My Tooth is Chipped or Broken? Sometimes chips or cracks can happen without pain. Even so, it’s incredibly important to see your dentist right away. The more sensitive and delicate inside part of your tooth is exposed when it’s chipped or cracked, which leaves it prone to bacteria already in the mouth. This can lead to new decay and new issues if your injury is left unaddressed. How Do I Relieve a Toothache? If you get a sudden aching in your tooth, the first thing you should do is brush and floss. Sometimes, toothaches are caused by food particles that get caught in your smile. You can also take aspirin or an over-the-counter pain reliever to get some relief. If your pain persists longer than a few days, call your emergency dentist in Ocala right away to get treatment. Is Tooth Sensitivity an Emergency? Tooth sensitivity is usually caused by enamel erosion or receding gums. When your enamel weakens, it exposes the sensitive inside part of your teeth. That’s why when you take a sip of something really hot or cold, you may feel pain. This can often be the first sign of a dental emergency. What Happens If I Lose a Filling? If you lose a filling, it’s important to get in to see your dentist as soon as possible. In the meantime, you can find dental cements at your local grocery store or pharmacy that can protect your tooth temporarily. You can also cover the affected area with sugar-free gum. The key is to keep the decayed part of your tooth away from sugar and bacteria until you can see a dentist. Now that you know the answers to some frequently asked questions about dental emergencies, you can relax knowing that you’ll be ready if dental disaster strikes. Dr. Daniel Weldon enjoys providing quality care to his patients in Ocala. He’s seen many emergency cases, which is why he wants you to know what to do if you have one. He currently practices at Weldon General and Cosmetic Dentistry, and he can be contacted through his website or by phone at (352) 622-3236 for any questions.